How is everyone’s weekend going so far? Are you getting ready for Valentine’s Day? This is the first year we are going to be staying home as a family and I’m going to make a festive dinner for the kids and I’m getting really excited about it. 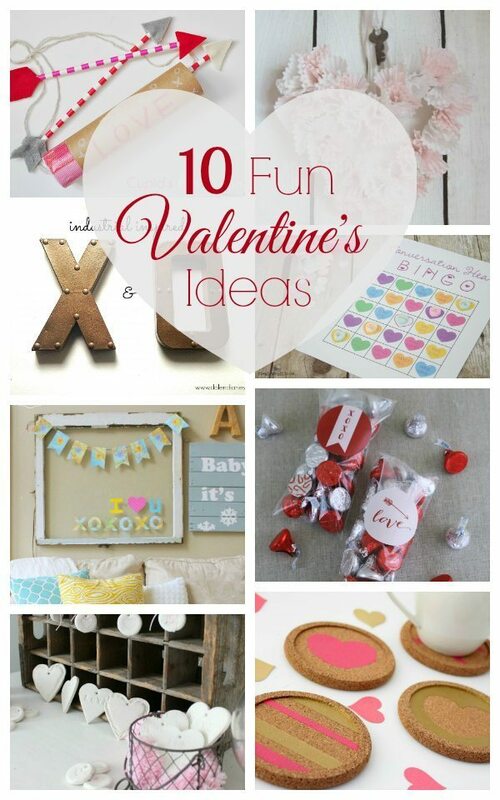 I loved looking at all of the creative projects linked up to the Inspiration Gallery this week, here are 10 Fun Valentines Day Ideas that stood out to us! Thank you so much for featuring my mitten wreath amongst so many great features! I’m in love with the industrial XO. Yay! Thanks so much for including my V-Day map bunting in this roundup!! So many cute ideas! !